In a Univision op-ed Martin criticizes Trump’s treatment of Jose Ramos. The fact that an individual like Donald Trump, a candidate for the presidency of the United States for the Republican party, has the audacity to continue to gratuitously harass the Latin community makes my blood boil. When did this character assume he could make comments that are racist, absurd, and above all incoherent and ignorant about us Latinos?..Jorge Ramos was doing HIS JOB as a journalist at a press conference in which he appeared freely and democratically, representing one of the most important Latin television networks in the world. But this new character in American politics verbally attacks him and ejects him from the press conference. Let’s show that our Latin race is to be respected, let’s not allow a political hopeful to plant his campaign in insult and humiliation. Let’s demand respect for those first generations of Latinos who came to the United States and opened a path for us. We have fought for every right that we have today…Xenophobia as a political strategy is the lowest you can go in search of political power. Martin accepts the ALS Ice Bucket Challenge after being nominated by Eva Longoria and Governor Of Puerto Rico Alejandro Garcia Padilla. Martin performs Vida on The Queen Latifah Show from the One Love, One Rhythm, The 2014 FIFA World Cup Official album. Martin performs Vida during The Ellen Show to promote his album One Love One Rhythm. FULL Performance (HD): Ricky Martin Performing "VIDA" at the Ellen Degeneres Show – May 2, 2014. Ricky Martin performs Vida on Dancing With The Stars to promote album One Love One Rhythm, 2014 FIFA World Cup Official Album. Ricky Martin performing "VIDA" at ABC Dancing With the Stars. Martin performs Adrenalina at The Voice from the album El Regreso del Sobreviviente. Ricky and Carlos have mutually agreed to end their relationship, but continue to be united by friendship and their shared experiences. Martin performs Come With Me on season two of The Voice Australia to promote his single. Seacrest interviews Martin during On Air With Ryan Seacrest about his growing family. It’s good for me. It’s good for my family. My kids, they are going to start going to school now. I want a big family. However, he does admit that now is not the right time. 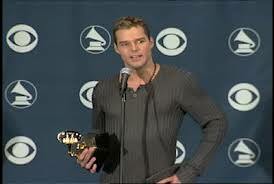 Martin performs The Cup Of Life at the 41st Grammy Awards from the album Ricky Martin. Martin comes out as gay. After numerous questions, he posts online that he was a homosexual. He credits his twins for his coming out as a gay man. Martin releases pictures of his four-month-old twin boys. 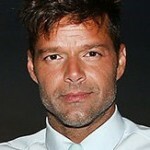 In recent weeks, Ricky Martin became a proud father by the birth of twin sons. The children, delivered via gestational surrogacy, are healthy and already under Ricky’s full-time care. Ricky is elated to begin this new chapter in his life as a parent and will be spending the remainder of the year out of the public spotlight in order to spend time with his children. Martin performs Drop It On Me at the NRJ Music Tour from the album Life. Martin performs Loaded at the Superbowl from album Studio Album. Martin performs Livin La Vida Loca at the Sanremo Music Festival from the album Ricky Martin. Martin wins the Grammy for Best Latin Pop Performance for Vuelve.